Veterans are rewarded for a lifetime of service with a generous retirement package. 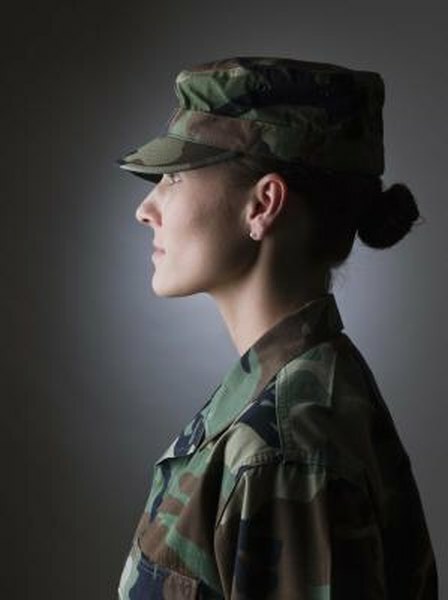 While there's no pay that can fairly compensate a person for putting her life at risk serving her country, military retirement benefits are often much more generous than retirement benefits in the private sector. The Marine Corps offers several benefits, including a pension and medical benefits to retired veterans who meet Marine Corps benefits standards. Retirement age for the Marine Corps is generally after 20 years of service. If you serve for more than 20 years, you'll get 2.75 percent more in benefits for each year of additional service, as of 2012. Some Marines are eligible for early retirement. For example, in 2012 the Marines offered voluntary early retirement to lieutenant colonels and colonels who had served between 15 and 20 years. You generally must be discharged honorably to receive the full benefits package. The Marine Corps pension program offers half of a veteran's full pay at time of retirement, beginning the day after retirement. For example, if you were making $60,000 a year when you retired, you can expect to make $30,000 each year as part of your pension. If you retire after more than 20 years of service, your benefits increase by 2.75 percent each year. After 20 years of service, both you and your spouse will receive reduced-cost medical care under the Marine Corps health program for the rest of your lives. Care is often provided at VA hospitals. You'll also be eligible to receive prescription drug assistance. Marines are also eligible for low-cost life insurance policies both before and after retirement. Retired Marines are eligible for home, life and car insurance programs through USAA, which also offers benefits to spouses and children. Retired Marines are also able to access most of the recreational benefits available on military bases, including access to the Base Exchange -- a retail store operating on bases -- recreational facilities and events for retired veterans.